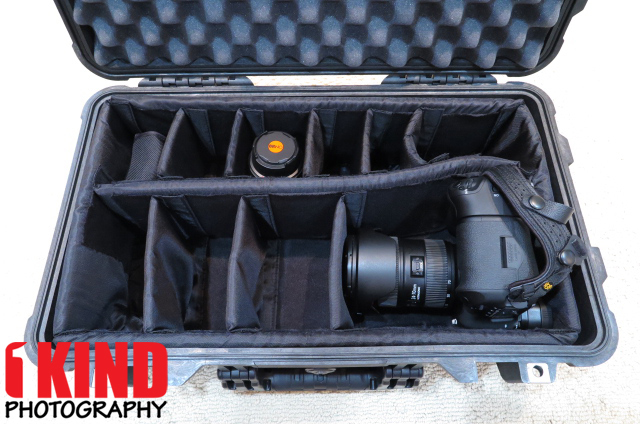 Overview : TrekPak is an innovative padded insert for protecting your gear in your favorite backpack or hard case. 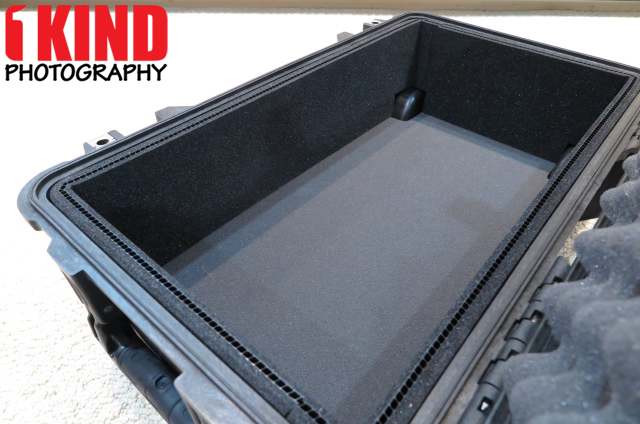 It uses a unique, patent-pending pin system that makes it easy to adjust dividers as your gear needs change! 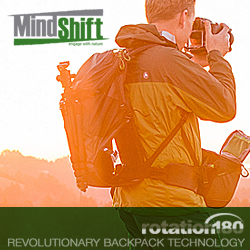 The system is easily customizable, durable, and water repellent. 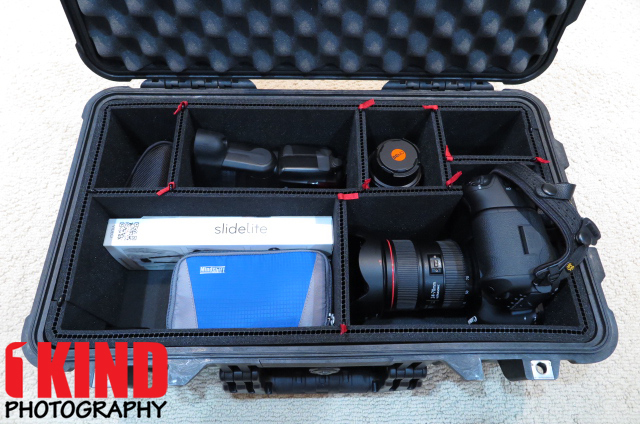 It is the ideal solution to satisfy both your comfort and gear organization needs while giving you back full power over customization! 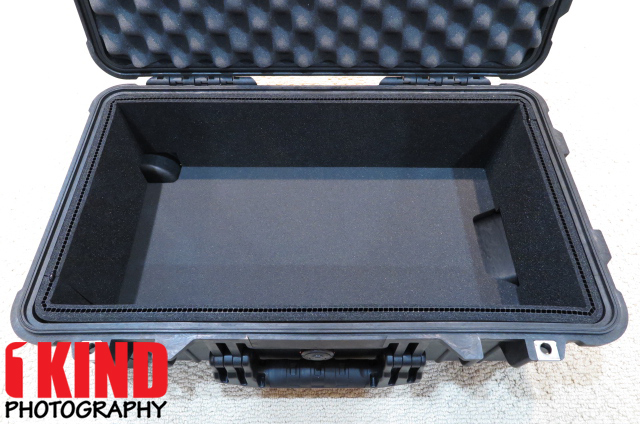 Upgrade your interior protection and organization with TrekPak inserts for these Pelican, Storm and HPRC cases. 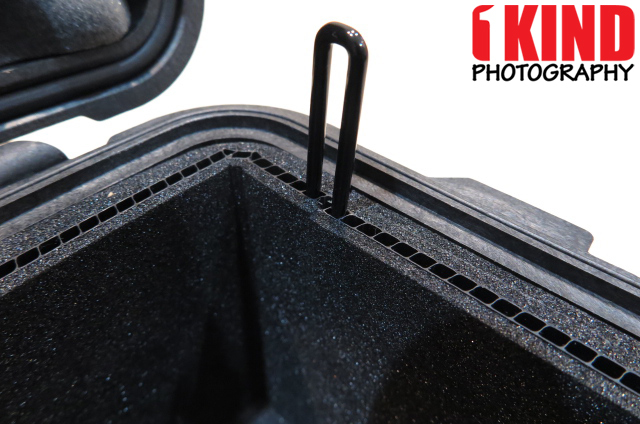 The TrekPak is an innovative product replacing your pick and pluck foam or velcro dividers. 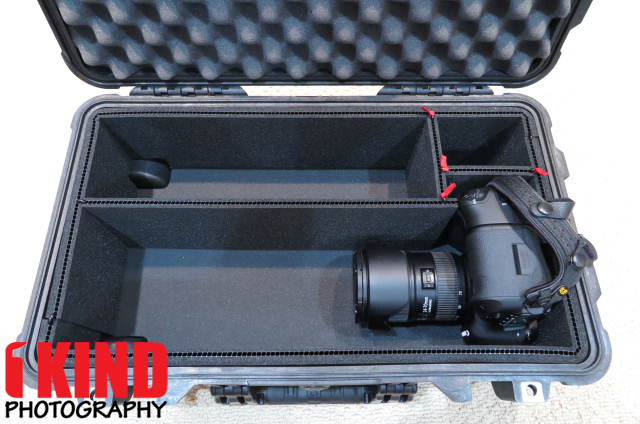 Quality/Usability : For this review, we'll be using the TrekPak into the Pelican 1510 1514 Carry-On Camera Case with Dividers. 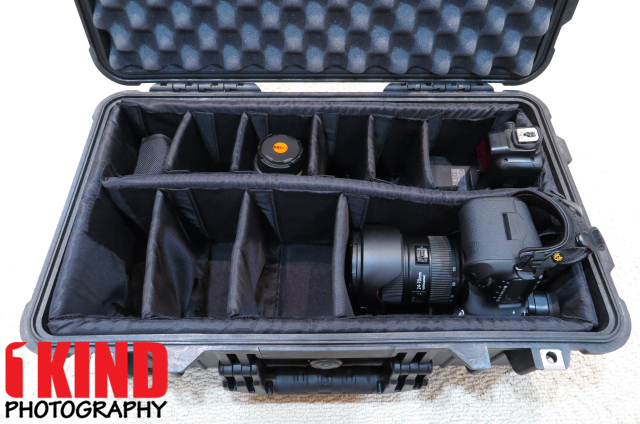 Velcro's are great at holding wires/cables together or keeping a bag closed. 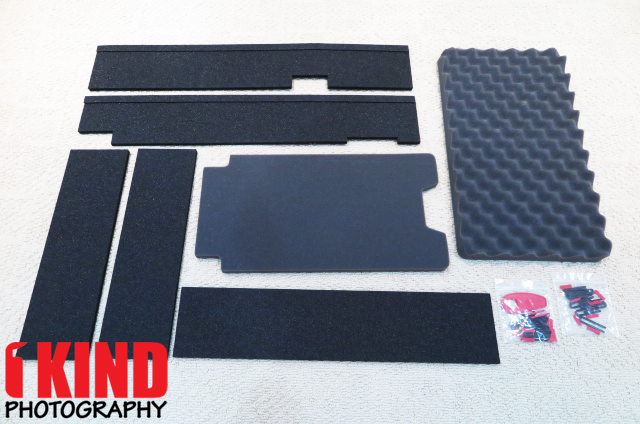 Velcro dividers work great at separating your gear but if you need to adjust the dividers, they are a pain. I found out about TrekPak awhile back when they launched on KickStarter. Not only was there no more velcro dividers, it made organizing a lot easier and cleaner. 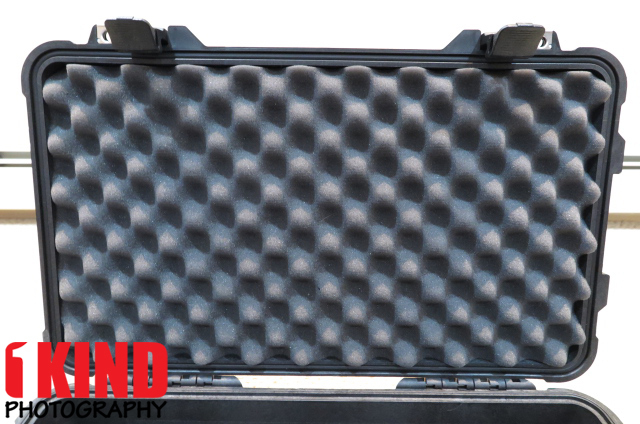 What makes TrekPak really unique, is that you won’t find any Velcro. 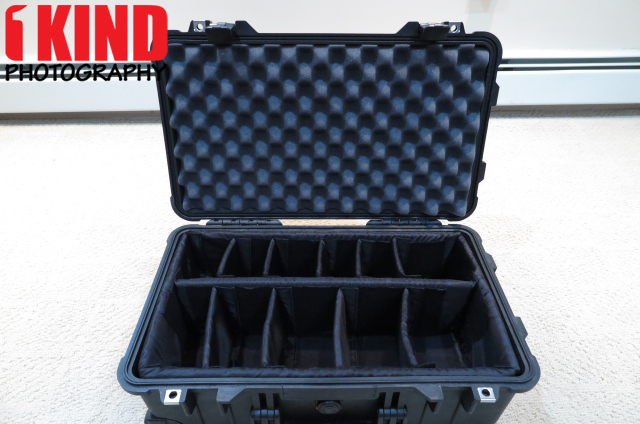 When you try to adjust a normal gear bag while out in the field, you know how frustrating it can be. The Velcro sticks where you don’t want it to, is hard to pull apart, and just looks messy and cluttered. Their patent pending system uses anodized aluminum pins and durable padded dividers to offer limitless organizational options. 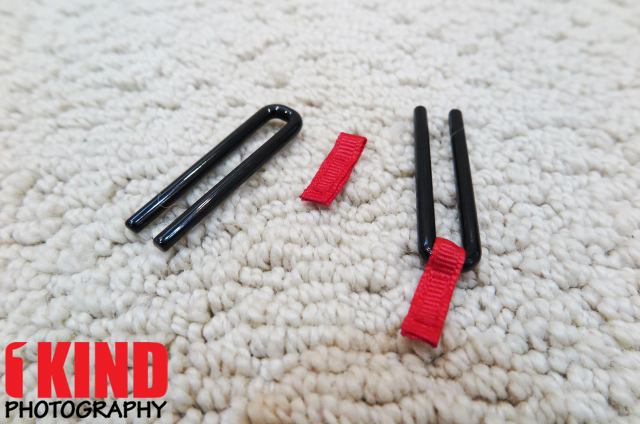 The TrekPak pin system is much easier to adjust, very secure, and straight up, it’s slick. The TrekPak dividers came in a brown shipping box. Included are two perimeter pieces, (2) 15 inch dividers, (1) 23 inch divider, cutter tool, 20 pins with 20 red pull tabs, and top and bottom foam. The anodized aluminum pins is what keeps the dividers in place. They slide into the holes of the dividers as shown below. The tabs makes pulling them out easier when you need to adjust the dividers. 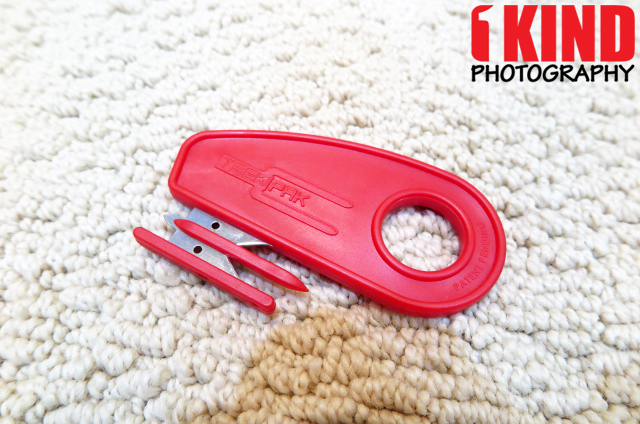 Included with the TrekPak is a cutting tool. This lets you cut the perimeter pieces as well as the dividers. They don't come precut since people have different sizes depending on their gear. 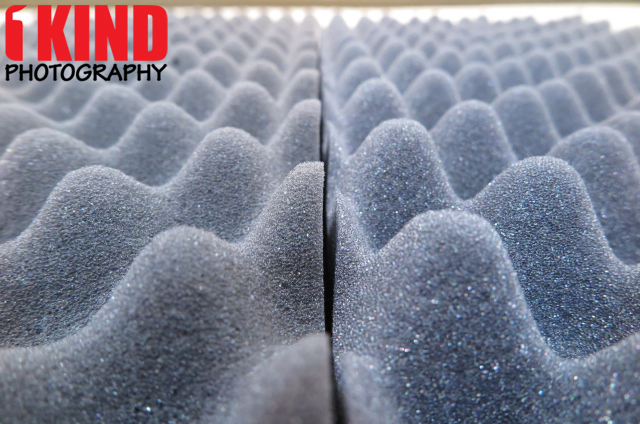 On both sides of the dividers is padded foam and in the middle is a plastic core. This is the same for the perimeter pieces as well. This provides strength as well as slots to insert the pins into. 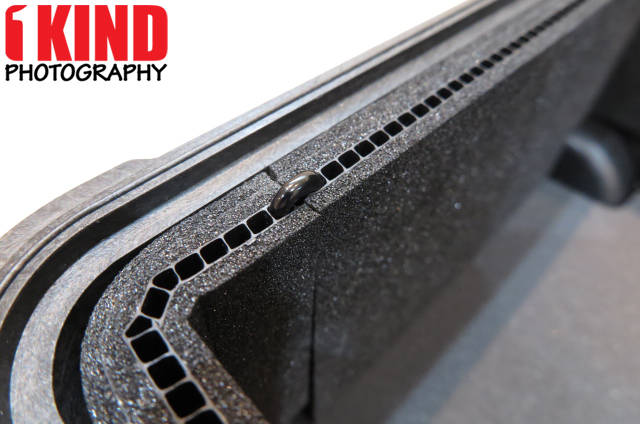 To cut the dividers, you'll need to use the cutting tool but you'll also need to make sure that its the size you want. If you cut too big, you can cut it down more but if you cut too short, there's no going back. 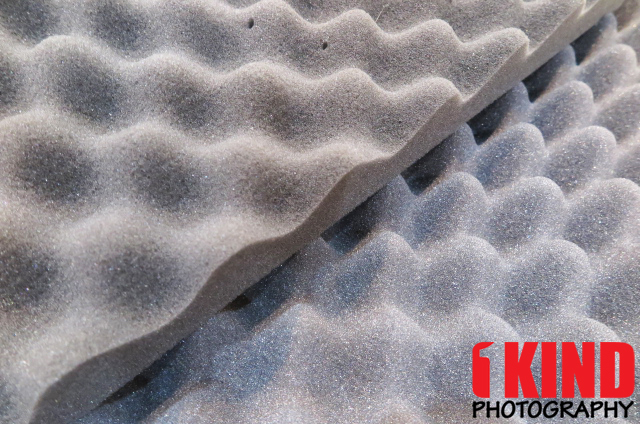 Also included is a new top foam. 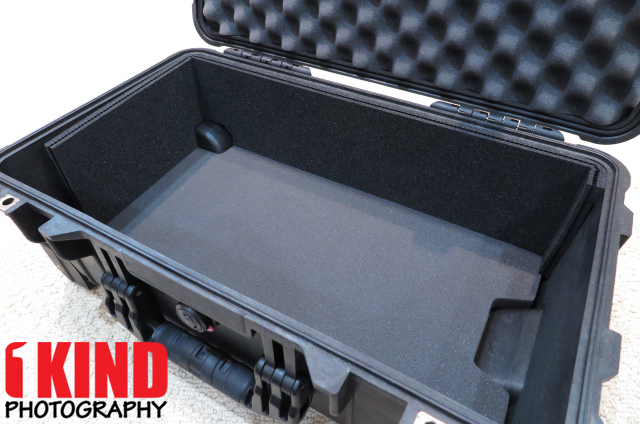 The foam on the left is from TrekPak and the foam on the right was included with the Pelican case. There isn't much difference in them. 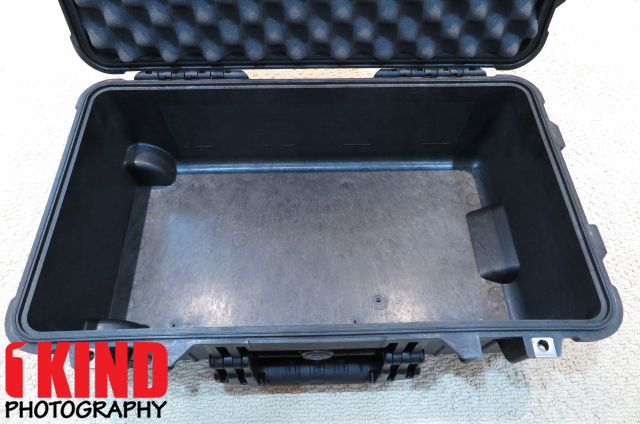 The TrekPak is slightly higher but the Pelican has a deeper egg crate. 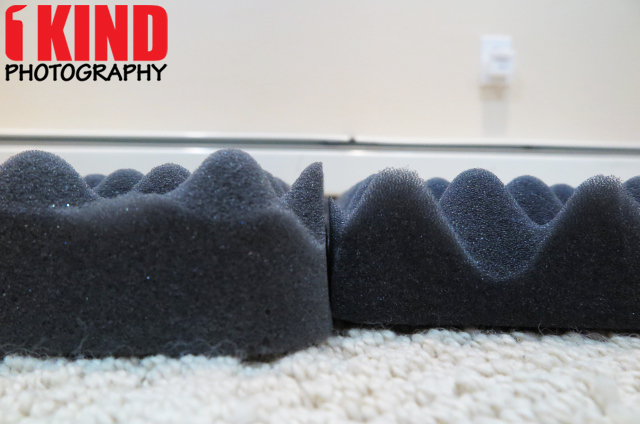 As you can see from the images above, with the included padded velcro dividers, they don't hold their shape. If you have an odd shaped or oversized item, it causes the dividers to buckle/fold. This doesn't make for a clean and organized layout. Placing and rearranging the velcro dividers can be a annoying because if you don't place it in correctly, it can be lopsided. 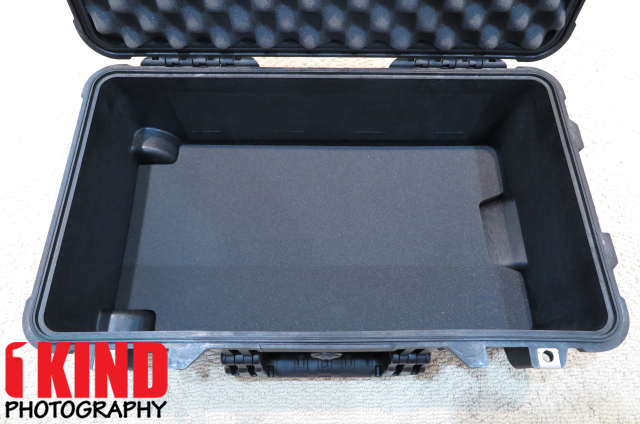 So first, I swapped out the egg crate foam with the one that TrekPak included. 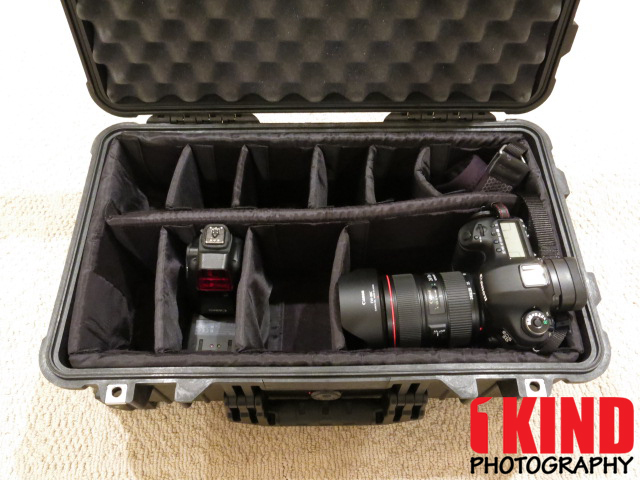 Using the top foam that came with the Pelican case would work fine as well but it seems like the TrekPak offers slightly more foam. 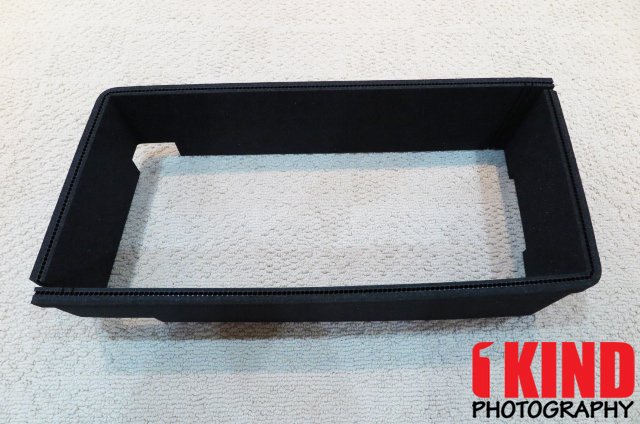 Next, I removed all the old padding and the bottom foam and placed in the new bottom foam from Trekpak. Once the bottom foam was swapped out, I started to insert the perimeter pieces which was held in place with the anodized aluminum pins. I didn't included the red tabs because these won't need to be pulled. As you can see, the TrekPak is starting to take form and cleaner looking. 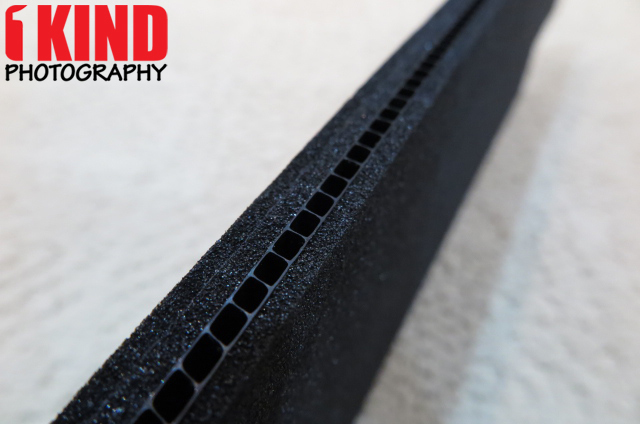 Using the cutting tool, you can cut down the dividers to the desired length and width. It's best to figure out how you want to lay out how you want to place your gear because you just go and cut the dividers. If down the road you want to change placement of the dividers, all you have to do is pull the red tabs and readjust the dividers. If you move dividers and the current ones you have don't work out, you can cut new dividers (if you have any left) or purchase new dividers and cut them to the new width. 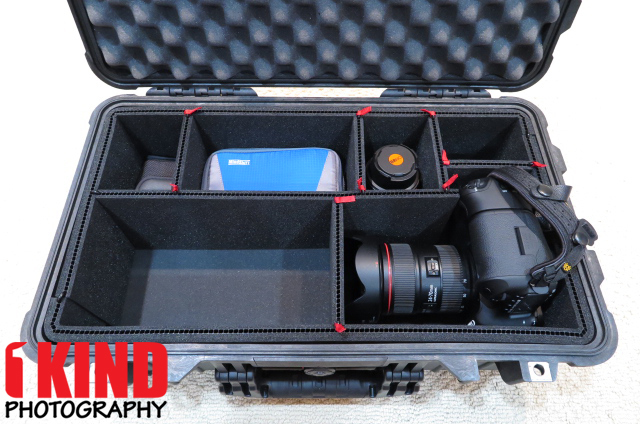 Conclusion : Overall, the TrekPak Foam Insert Divider for Pelican HPRC Nanuk Hard Case organizes your gear neatly. 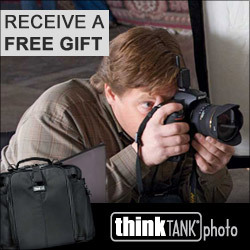 It offers sturdy protection while still being rigid. It's nice that it is customizable to how you want to separate your gear instead of being limited. The Pelican 1510 inserts run $115.00. Depending on your case and size, prices can vary.